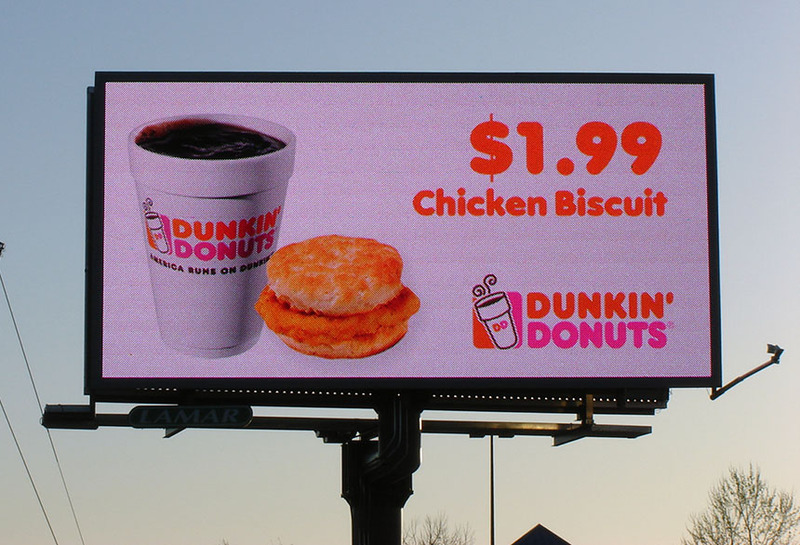 Dunkin Donuts used Lamar digital bulletin capabilities to run time-specific advertisements. At different points in the day different promotions appeared on the bulletin. This time sensitive technology increases the ability to target specific consumers throughout the day.